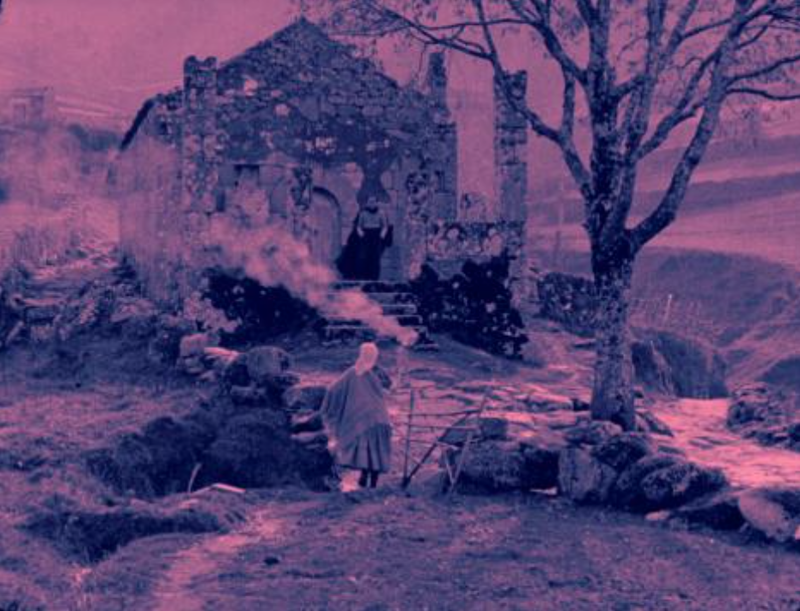 MULHERES DA BEIRA (1922) and OS LOBOS (1923) are two examples of films made in Portugal by foreign directors who left their mark on the country’s cinematography prior to the arrival of sound cinema. Both films were directed in the early 1920s and are among the most important works by Rino Lupo, who consummately combined his own well- trained gaze and experience with distinctive local features, such as the Portuguese natural scenery, traditions and literary works. Rino Lupo’s career was emblematic of the international flow of ideas, people and films that marked the silent film era. He worked as an actor in France for Pathé, Gaumont, and Lux, was an assistant director to Léonce Perret, and then, beginning in 1912 a director for Lux. His directorial career continued in the teens, twenties, and early thirties, where he made films in Germany Denmark, Russia, Poland, Spain, and Portugal. He also continued occasional acting roles during this period, as well as establishing film schools in Poland and Portugal (where he taught acting to Manoel de Oliviera). He also founded a magazine Arte Muda in 1928, which served as a platform to promote himself, his films, and his ideas on cinema. However, his career was on the decline just at the moment when there was a rise in a new generation of Portuguese directors, among them Leitâo de Barrios (see LISBOA CRÓNICA ANEDOTICA, 1930). MULHERES DA BEIRA is, according to film historian and critic Jôao Bénard da Costa, the first film to introduce a form of verismo into Portuguese cinema, because of the way the actress Brunilde Jüdice embodies her role with a combination of devoutness (the large cross around her neck) and sensuality (her cleavage), as well as for the manner in which she is so closely associated with the mountain landscape. In terms of the plot, she rejects the pure love of a pastor and is seduced by a nobleman, who gets her pregnant. Eventually abandoned, she retires to a convent. Eternally tortured, however, she leaves the convent and plunges to her death atop a mountain. She became, according to the aforementioned critic, the first mythical woman in Portuguese cinema. As a follow-up to MUHERES DA BEIRA, Rino Lupo was interested in continuing to film in remote Portuguese landscapes (in this instance, the Serra da Estrela). In OS LOBOS, the plot surrounds a seafarer named Ruivo, who, after serving a sentence for a crime of passion, travels to a remote mountain area, where his romantic entanglements eventually lead to his death. The film hints at much more than mere melodrama, however, when one focuses on the poetics expressed through the visual motifs. The film begins where it ends with waves crashing against the rocks; this imagery functions both as a metaphorical and structural element. Other visual contrasts course throughout the film -- water and fire, rocky outcroppings and vast open spaces, the mountains and the sea, the cliffs and the houses carved in the granite rock -- all of which function as striking and precarious elements against which the human dramas are played out the fullest. Cast: Brunilde Jüdice, Mátio Santos, Antonio Pinheiro, Rafael Marques, Duarte Silva, Maria Jüdice da Costa. Cast: José Soveral, Branca de Oliveira, Joaquim Almada, Sarah Cunha.